Santa Rosa, Calif. – With Think Tank Photo’s new Emergency Rain Covers, photographers need no longer be caught off guard by bad weather. 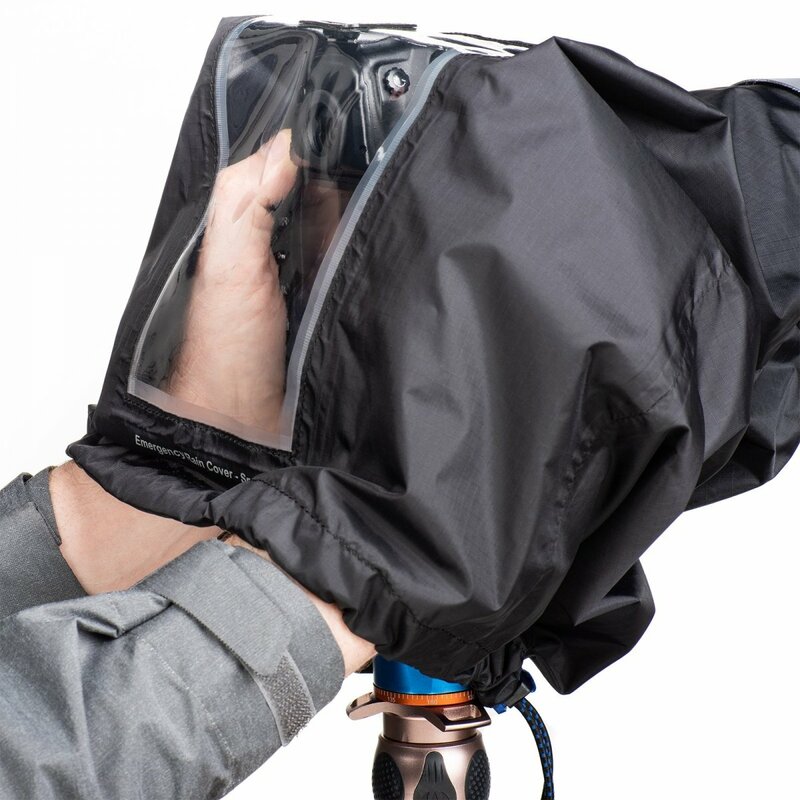 The Emergency Rain Covers are a simple, compact solution for protecting photo gear from sudden downpours or dusty conditions. These seam-sealed rain covers can be quickly and easily deployed when outdoor conditions change. The covers are designed to fit both DSLR and Mirrorless cameras and are available in two sizes to accommodate a range of full-frame lenses. The Emergency Rain Cover – Small protects a 16–35mm f/2.8, a 14–24mm f/2.8, a 24–105mm f/4, or a 24–70mm f/2.8 lens. 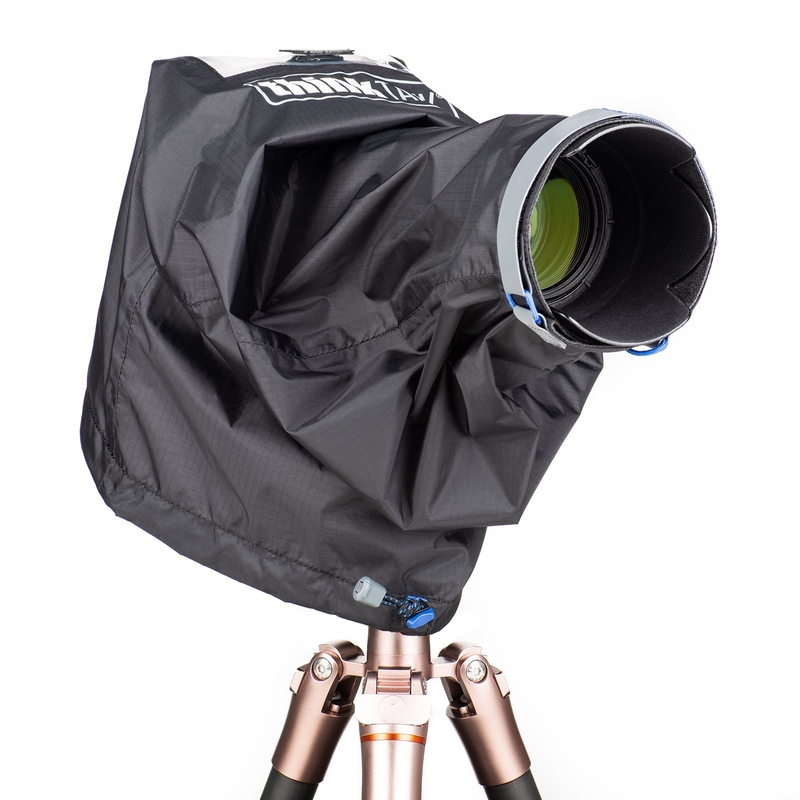 The Emergency Rain Cover – Medium protects a 24–70mm f/2.8 or a 70–200mm f/2.8 lens. As always, Fotozones supports the work of companies like ThinkTank. If you use the following link to order your Emergency Rain Cover, Fotozones gets a small commission which doesn't affect your price. On the contrary, when you order from the link below you will get free gift if your total order is more than $50. You won't get the free gift if you order directly. They’ll be great for your safaris. When the rain comes the Safarians head for the lodge! Would be great to use for surf photography though. I was thinking for the dust. It's not that much of a problem. Already? Geez, they must have taken in a huge first order - they only released the product this week.